With $f$ an external force. 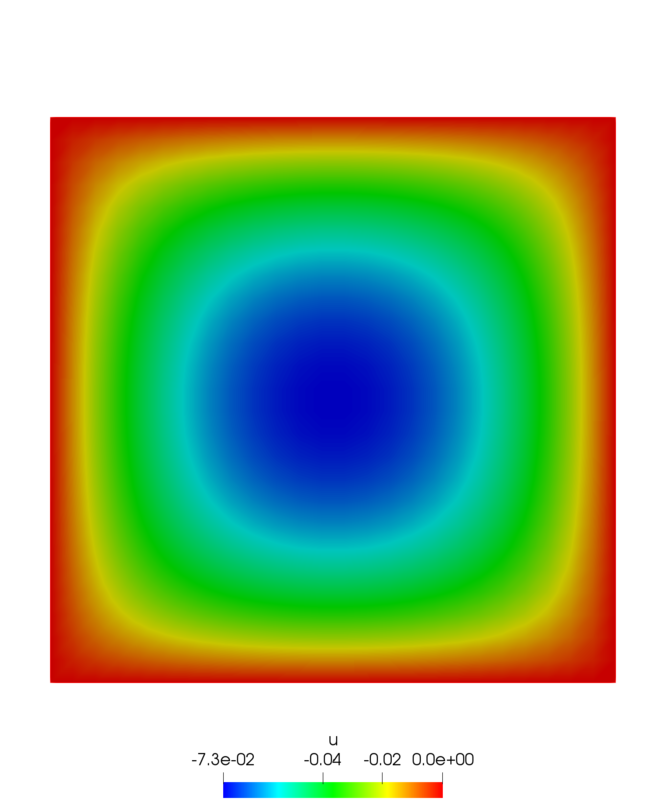 Poisson’s equation on a square. 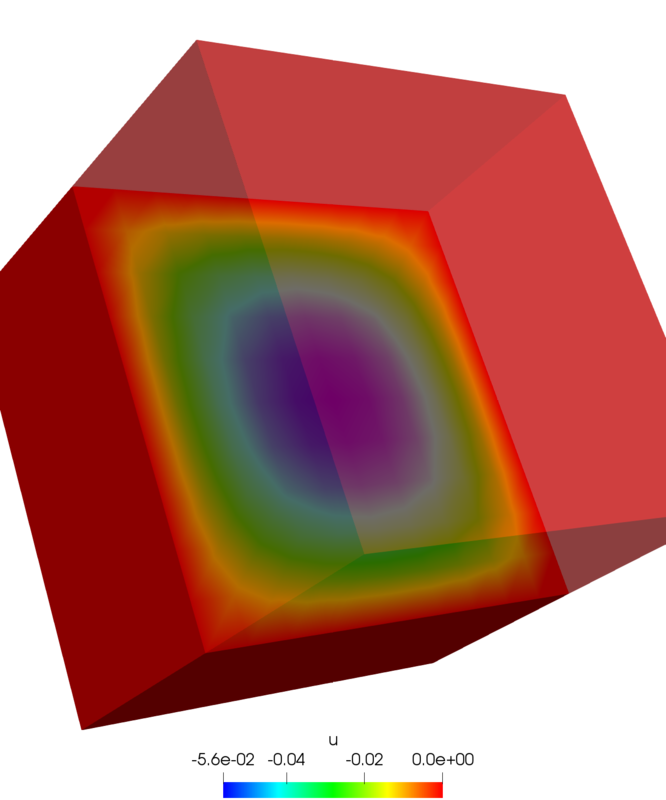 Poisson’s equation on a cube. 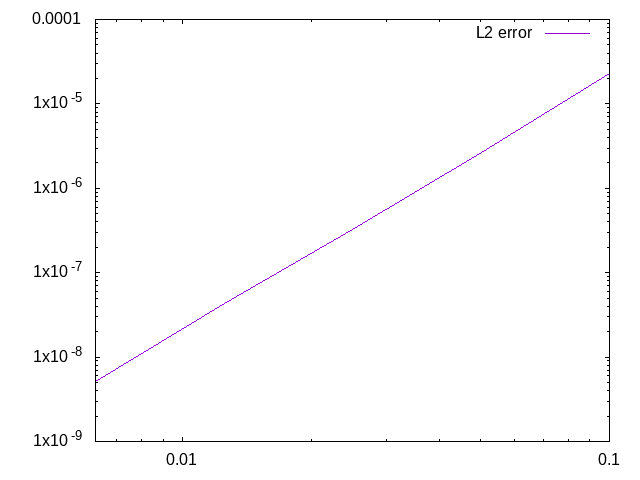 The slope obtained with this algorithm is equal to $3.0235$, which corresponds to the theoretical value of $3$.